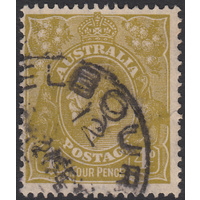 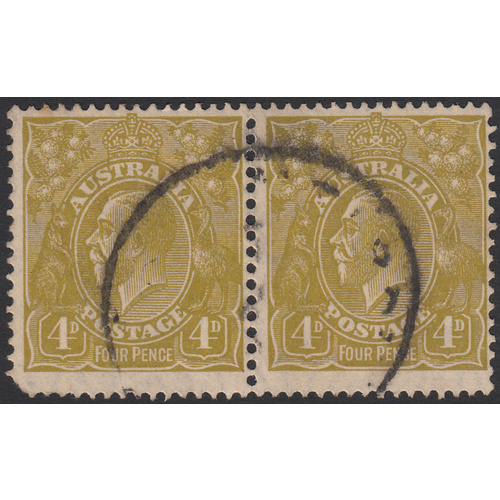 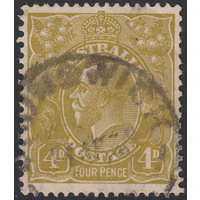 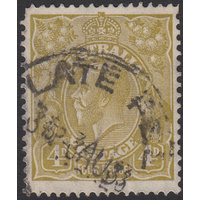 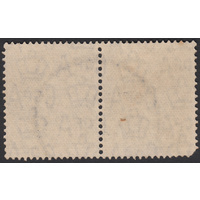 Australia KGV 1933, 4d Olive, CofA Watermark, variety 3L34 (Downward pointing notch on inside of right frame 2mm above bottom right corner, extended bottom serif of E of POSTAGE) in Good Used condition with no faults. 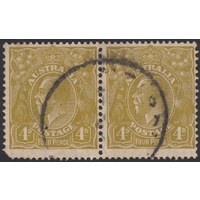 Joined in a pair with 3L33 (no variety). 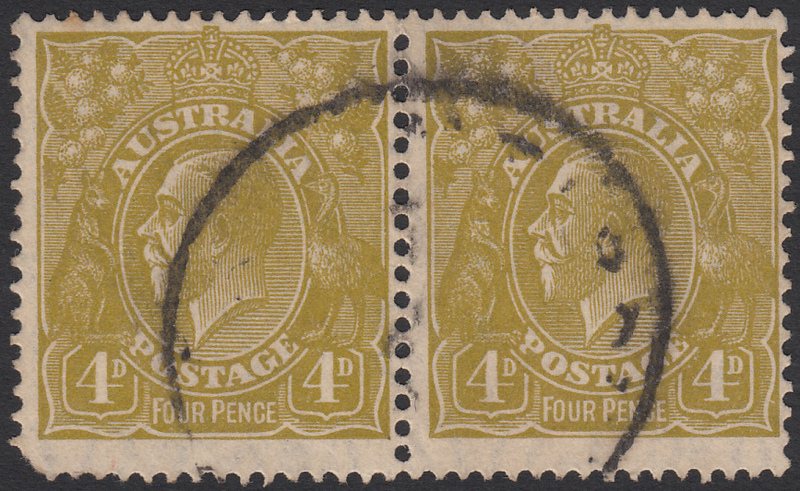 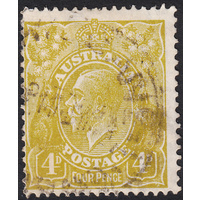 The variety unit(3L34) is centered high and right with no faults and a circualr datestamp cancellation well clear of the variety and second indicator. 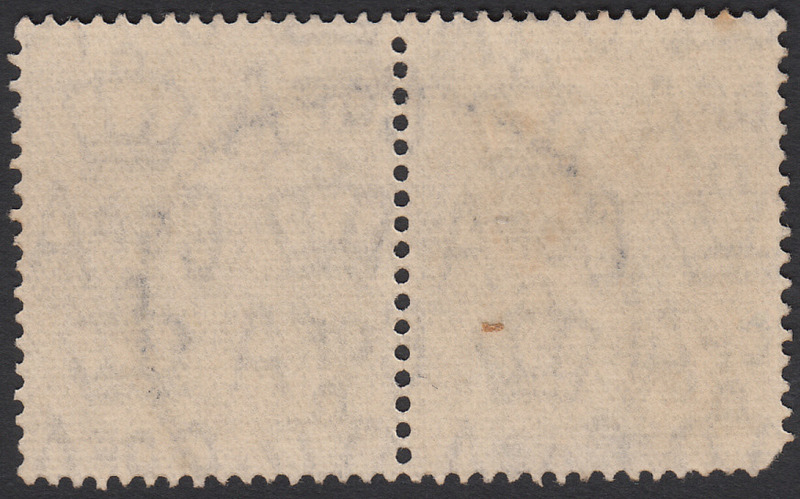 The non-variety unit (3L33) has a short bottom right corner.